Financial aid may come in the form of grants, scholarships, work-study programs or a combination thereof. While the student is ultimately responsible for meeting educational costs, most TOCC students receive some source of student financial aid. It is expected that students who plan on attending TOCC will be responsible for tuition and fees and other college expenses incurred. While the student is ultimately responsible for meeting educational costs, most TOCC students receive some source of student financial aid. A student’s financial need is determined by an analysis of his/her income (if dependent of a parent, then his/her parent’s income) and other financial resources considered as income (which may not be reported on the income tax form). It is expected that students who plan on attending TOCC will be responsible for tuition and fees and other college expenses incurred. The number and amount of financial aid awards is subject to the availability of institutional, federal, and tribal funds. The type of aid and the amount awarded is also determined by the status of the student, established financial need, and the aid they are eligible to receive. TOCC complies with grant, tribal, and federal policies and guidelines in reference to the type of awards and grants received and also by the regulations of the Department of Education in reference to Title IV funds. To complete the FAFSA — Free Application for Federal Student Aid, click on https://fafsa.ed.gov to begin the process. Follow the steps. If you have questions about the FSA ID, you can find the answers to frequently asked questions here. If you need assistance logging in with your FSA ID, you can contact 1-800-4-FED-AID (1-800-433-3243). Use the IRS Data Retrieval Tool (IRS DRT) to update your FAFSA with IRS tax return information. If you have already submitted a FAFSA and would like to use the IRS DRT, click Login to start a correction. Once in the FAFSA, navigate to the "Finances" section, where the option to use the IRS DRT displays for eligible students and parents. You must indicate that you have completed a Federal tax return to be eligible to use the IRS DRT. The 2017 Gewkdag Scholarship is awarded to recent High School/GED Graduates that will cover the cost of tuition/fees and $250 toward the cost of books. Eligible students are those that have recently graduated with a High School Diploma/GED Certificate from a school that is located on or near the Tohono O’odham Nation in the year 2017. 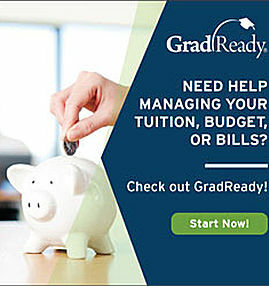 ​​Students must apply for financial aid prior to the beginning of the academic year or semester for which they plan to enroll. This will ensure the timely identification, processing and disbursement of funds for which you may be eligible. Application deadlines for financial assistance vary depending on the source of funding, therefore is crucial for the student to apply early.